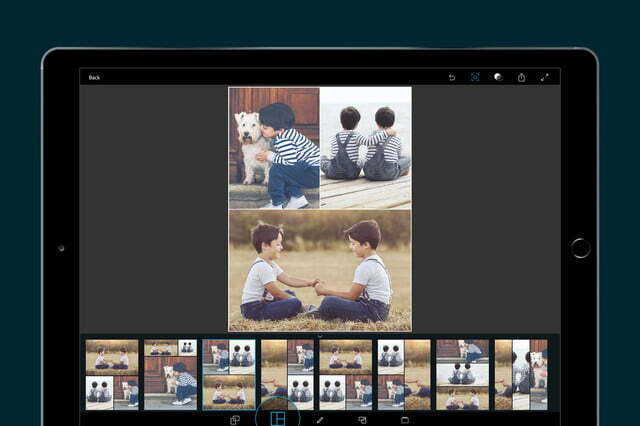 Lightroom’s Android version now boasts the same RAW file compatibility as the desktop version. 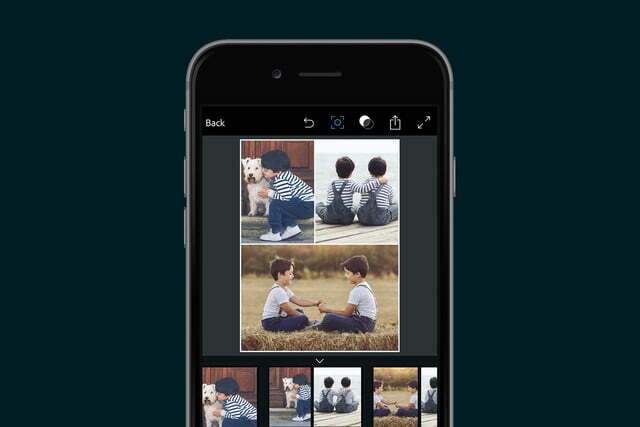 Adobe on Wednesday announced a series of mobile and web updates, including a major Lightroom update, as well as the addition of collages to the iOS version of Photoshop Express. Lightroom Android 2.2 now supports camera RAW files — and not just the DNGs shot with the app’s camera. While the camera mode in Android’s Lightroom app gained DNG capability in 2015, the app wasn’t capable of opening files from dedicated cameras — a feature that the iOS version gained over the summer. With the update, the list of compatible cameras is the now same long list that the full desktop version supports. Images need to be transferred via a USB On-the-Go adapter, Adobe says, and once the camera is connected to the smartphone, the import tool allows users to select what images to transfer. The company says the update gives Android users access to the same benefits of shooting RAW — like altering the white balance and recovering blown-out highlights — but on their smartphones. The mobile app can also be synced with the desktop version, keeping the file and its edits, ratings, and flags intact across multiple devices. 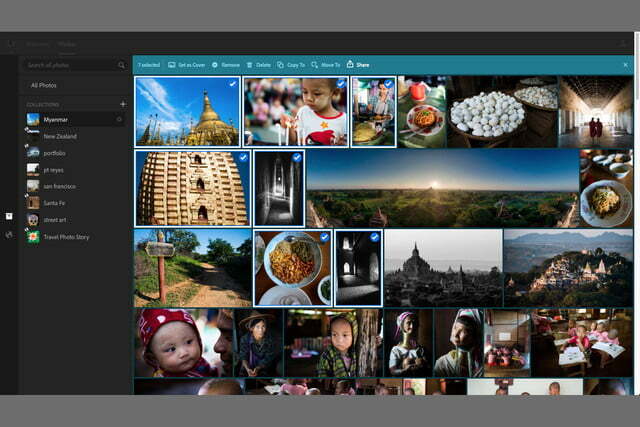 Along with the mobile enhancement, Adobe also released an update to Lightroom on the web, which allows Creative Cloud users to share and view images synced across multiple devices. The update adds more social features to the platform, including the ability to add a header and sections with descriptions. 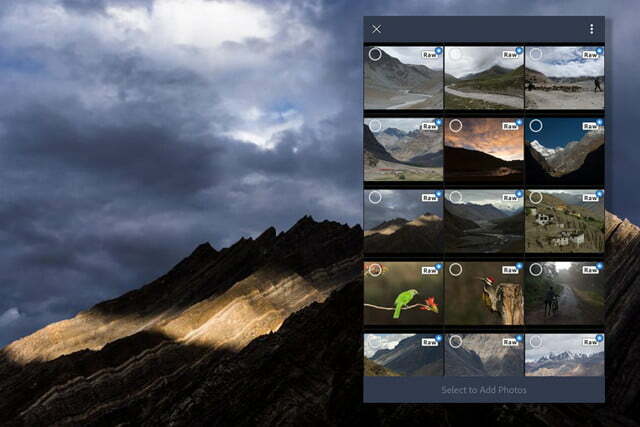 Adobe says the update helps to tell richer stories via photos on the web. Additional updates allow users to send photos from Lightroom on the web to an Adobe Portfolio, along with the ability to download the original DNG file. Users of iOS that gained the full RAW compatibility over the summer weren’t completely left out of the latest round of updates, thanks to an update to Photoshop Express. 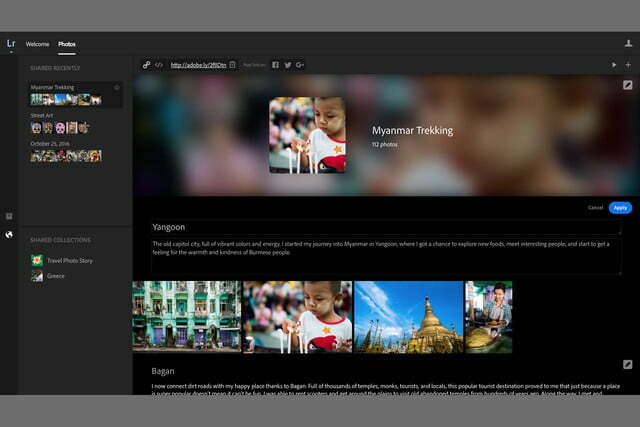 The latest feature adds what Adobe describes as a “studio-caliber” collage option, using intelligent layouts and style transfer options to create a mix of images. All three updates are available starting Wednesday, with the Android option on the Google Play Store, the updated Photoshop Express on the app store, and the Lightroom on the web version online.